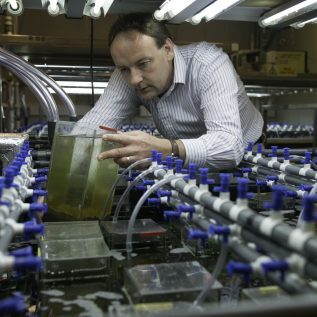 Martin Solan is Professor in Marine Ecology at Ocean and Earth Science, University of Southampton and the Co-lead investigator of the ChAOS project. His research focuses on understanding biodiversity-environment interactions and the ecosystem consequences of altered diversity and environmental change in benthic systems. He has been instrumental in characterising of how species mediate ecosystem properties, respond to drivers of change, and has developed concepts of functional group ecology. He is a Scientific Committee member of ecoSERVICES (a project of Future Earth) and the Global Environmental Research Committee at the Royal Society. Within ChAOS, he will oversee experimental investigations of how key invertebrates mediate ecosystem properties.